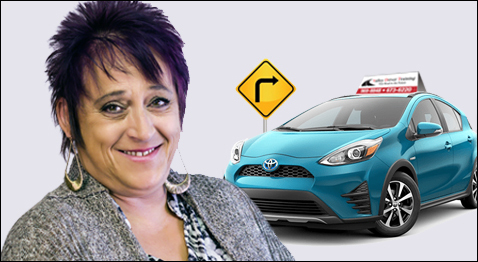 My name is Lise Lanteigne I have been a driving instructor for 11 years now. Time goes by fast when you enjoy what you do for a living. Driving has always been my career. I drove a Handy Transit Bus for 19 years and delivered at the mines for 2years, then this ..My satisfaction is when I see the smiles and excitement on my students’ faces. Also watching them build confidence in themselves and actually realizing that driving is not as complicated as it seemed. When you enjoy what you do for a living it is not called a job …it is an enjoyment that I hope I can continue to do for many more years.